Montreal’s St. Henri district has a long, storied history. From its early days in the late 1800s as a working-class neighbourhood, where residents toiled in its tanning factories along the Lachine Canal and laboured on the nearby railroad, to its struggles in the last century as many of those same factories shuttered their doors, St. Henri has had to find ways to adapt to change. But adapting is not merely a strand that has been woven into the fabric of this neighbourhood’s past. It is part of its textured look of today, as well. As a new generation moves into this district, fuelling a wave of rapid gentrification that appears to be gaining traction, the evolution this neighbourhood is witnessing is not as bitter a pill to swallow as the waves of the past. No, the changes taking place in St. Henri today are a little bit sweeter you could say – and in more ways than one. Josie Weitzenbauer knows a thing or two about the sweeter side of St. Henri’s current evolution. She is the owner of Léché Desserts, Montreal’s first artisanal doughnut shop. Weitzenbauer decided to open her shop here after being part of the early wave of pioneers who sparked a residential resurgence in the district as old industrial buildings began being converted into condominiums. She had attended pastry school, and travelled, working as a pastry assistant in Europe and other parts of Canada. Then, she worked as a pastry chef at a few major hotels and restaurants before starting her own business about seven years ago, supplying desserts to high-end restaurants. 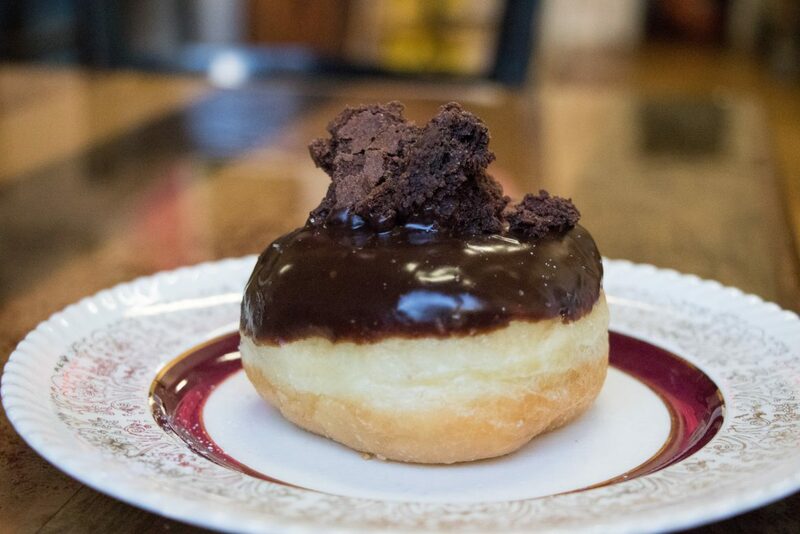 And from there, well, in her own words: “It snowballed into this whole doughnut thing.” This “doughnut thing” has people beating a path to her door. 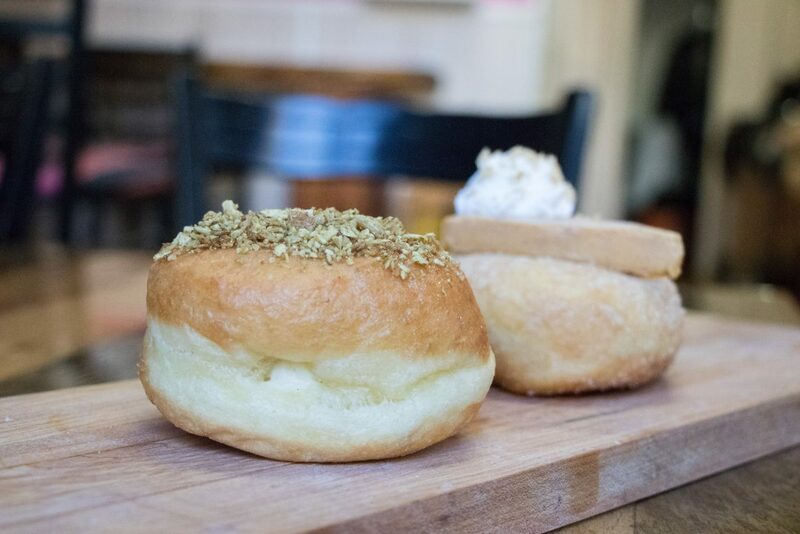 Léché prides itself on its hand-rolled doughnuts that are inspired by traditional classic desserts. 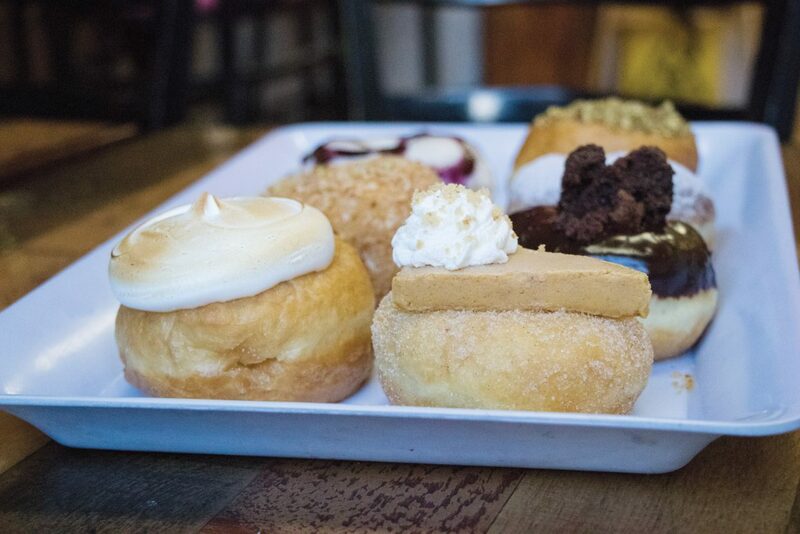 “The doughnut has been around forever, but we’re trying to step it up a little,” she says. 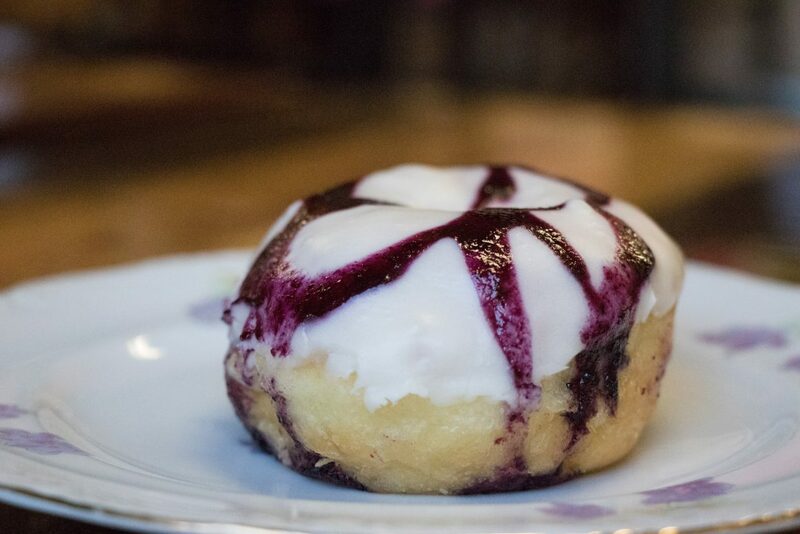 Léché steps it up one doughnut at a time, from its lemon meringue variety, which is filled with fresh lemon curd made in-house and topped with fresh toasted meringue, to its blueberry and cream cheese selection, a glazed doughnut half dipped in a cream cheese glaze made with fresh vanilla beans and topped with a coulis made with Quebec blueberries, or its lime and coconut doughnut, a vegan option made with coconut milk, fully dipped and covered with a mixture of shredded coconut, sugar and lime zest and sprinkled with fresh zest. “We produce about 1,000 doughnuts a day, and we can double that on the weekends,” Weitzenbauer says. 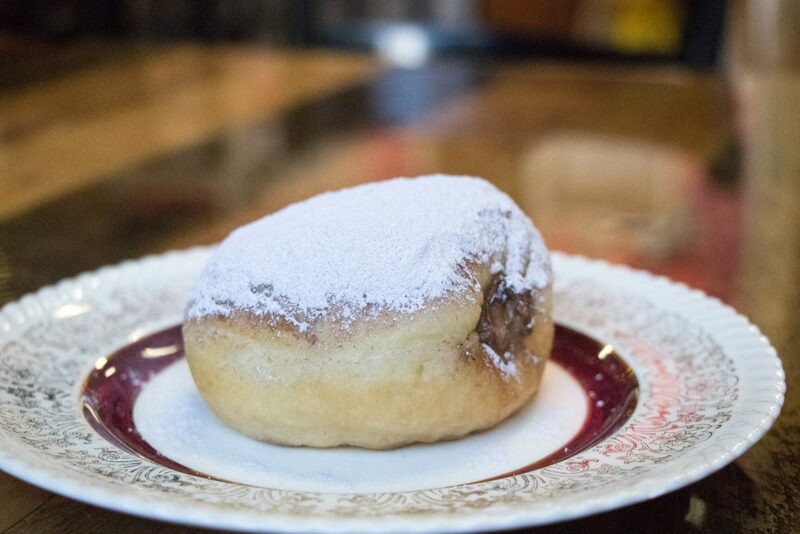 The shop makes traditional-size doughnuts and mini beignes on special order only. Weitzenbauer says the smaller varieties have become a hit for anyone hosting an event or party. “They’re cute and they are really fun,” she says. Aside from its bakery, where the owner employs 13 people on a full- and part-time basis, Léché Desserts operates a small café that also offers a little lunch menu. 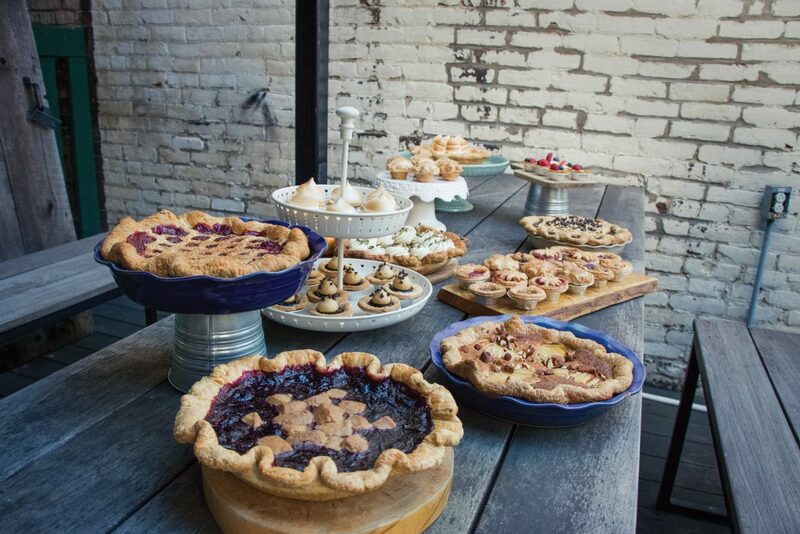 Another sweet spot on the St. Henri map is the Rustique Pie Kitchen. 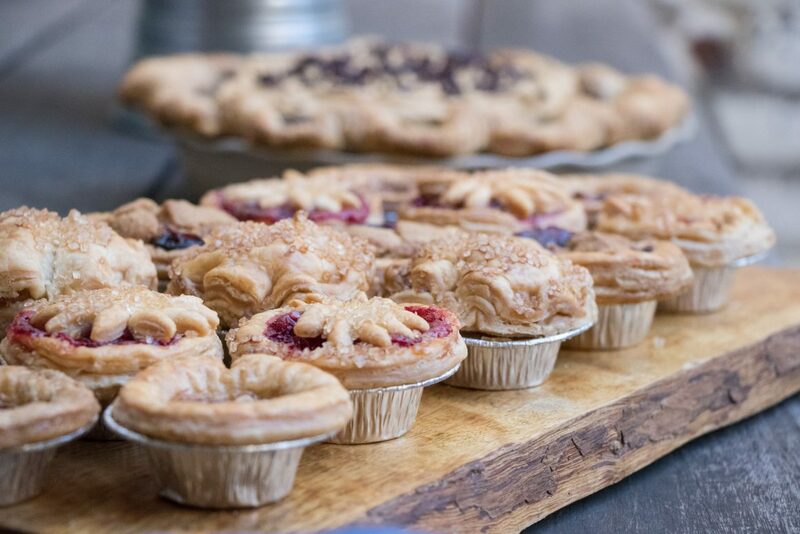 Located on Notre Dame Street West near de Courcelle, this bakery and café serves up good, old-fashioned traditional pies. And as the executive chef explains it, not only are they delicious, patrons have often been moved by how they evoke memories of their childhood. Everything at this pie shop is old-school. “We don’t cut corners. It’s always going to be butter, not shortening. It’s always going to be fresh fruit, nothing frozen, nothing pre-made,” Clot says. And she means it. 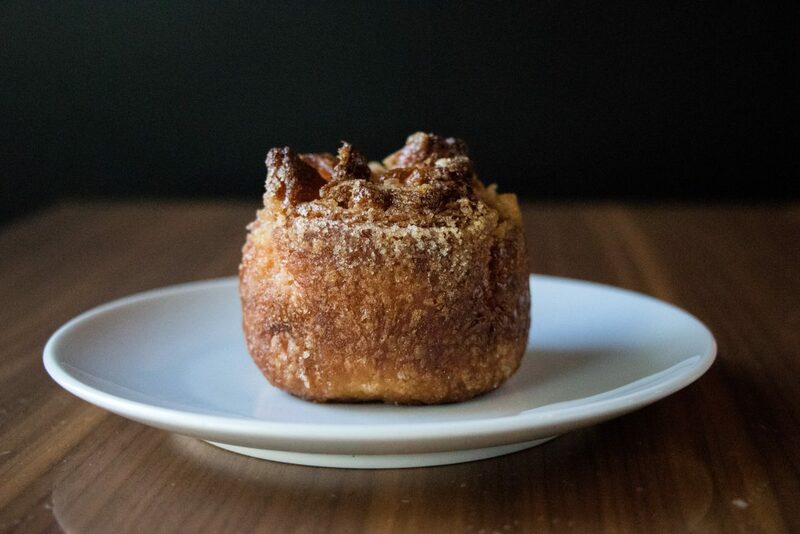 The Rustique opened about three years ago, and has gained a devoted following among its customers. 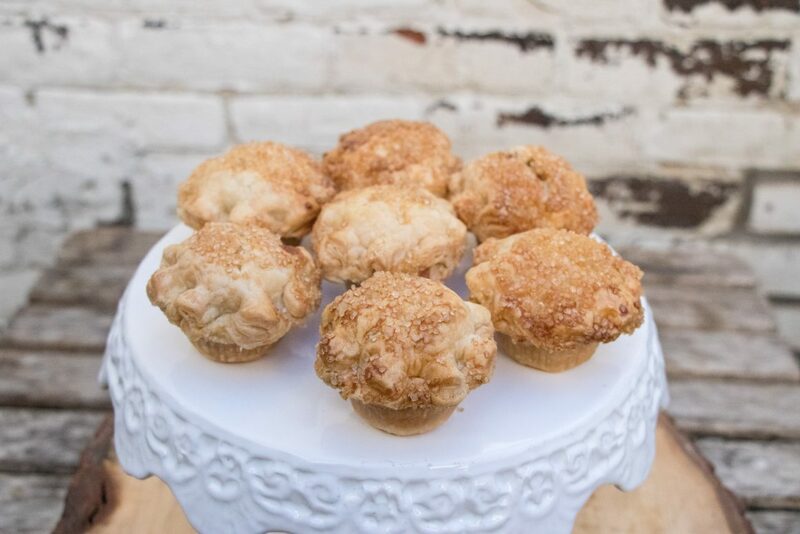 For example, Clot says, one client walked in one day and purchased a traditional mincemeat holiday pie. Unable to wait until he got home, he had a bite of it right there in the shop. The reaction was instantaneous, Clot says. He was immediately reminded of the pies his grandmother used to make at Christmastime. Now, every year, he orders 20 to share with friends and family. 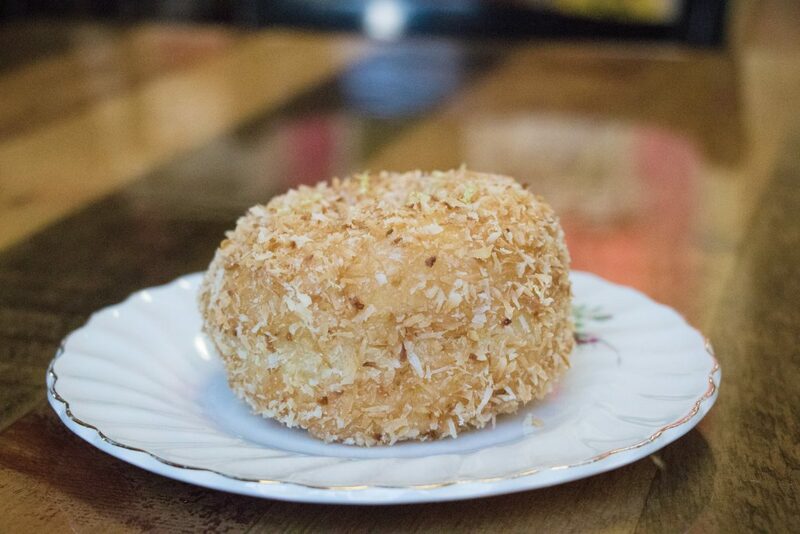 But pie is not the only dessert at the Rustique, which opened almost five years ago. It also specializes in dessert bars. It’s an option to which customers are reacting very positively, Clot says. 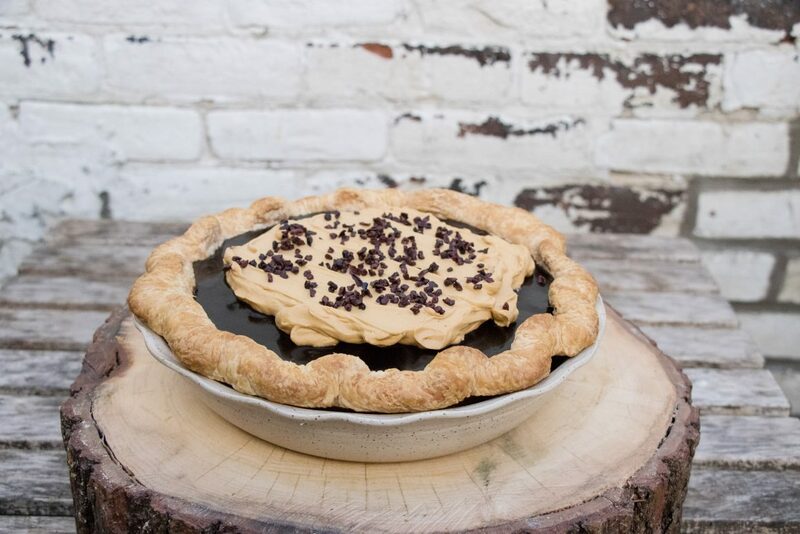 “The idea of pie brings people through the door; then they discover the bars,” she says. Platters of mini bars and pies are popular with people who are hosting events, she adds. 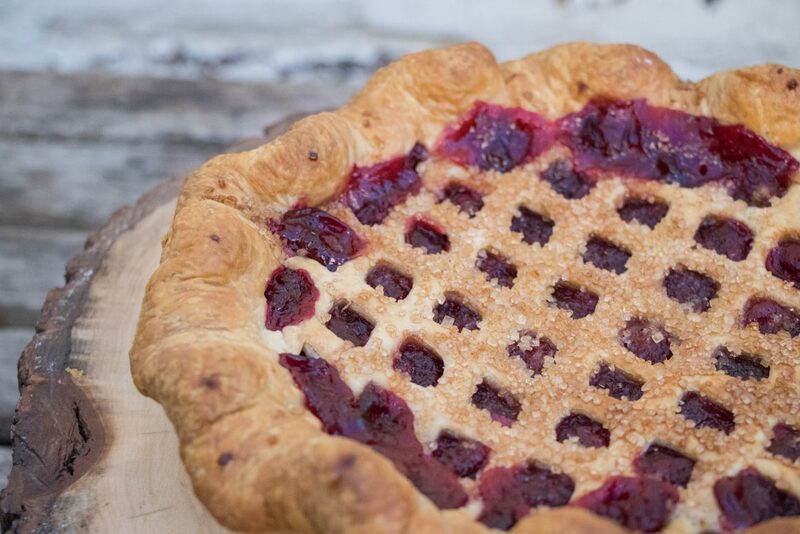 But making everything from scratch takes time, or as Clot put it: “It’s a commitment to make pie.” And what does that look like on a regular day? Well, she offers a quick example. They just received a 10-kilogram box of lemons. That means everyone working in the shop will be squeezing lemons that afternoon. Premiere pies retail for $24 to $25. 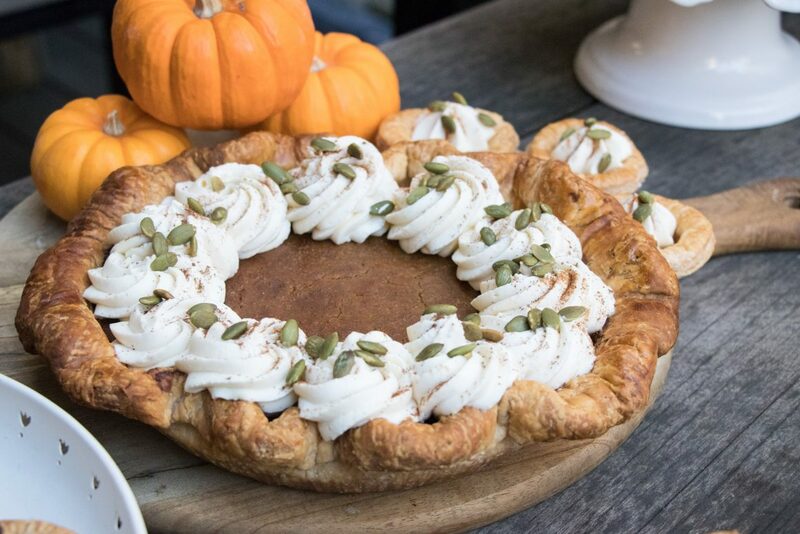 The Rustique has also launched a new line of what Clot calls “salty pies,” a collection of quiches and meal pies – in the space next door to the original store – to feed the demand for hearty home-style cooking. Among the new lineup is a bacon-cheddar pie and a spinach, mint and feta creation. 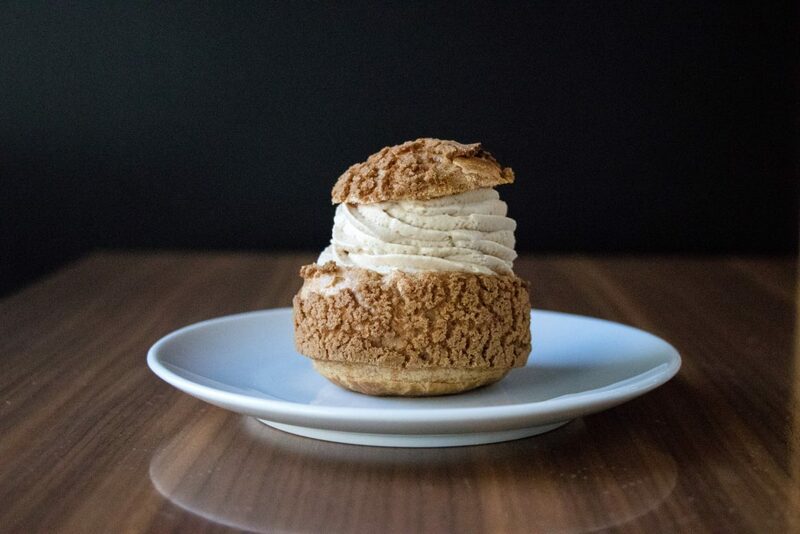 Also making a name for itself in the St. Henri dessert scene is Patrice Patissier, a specialty pastry shop that is redefining puff. But don’t expect anything too traditional here. This bakery and café on Notre Dame Street West, operated by pastry chef and former TV cooking show host Patrice Demers and his wife Marie-Josée Beaudoin, specializes in original recipes. There are no classic French pastries here, Beaudoin says. Their offerings have “less decoration and fussiness.” Instead, the focus is on freshness. “We make everything in-house every day. Freshness is the most important. It’s about good chocolate and good fruit,” she says. 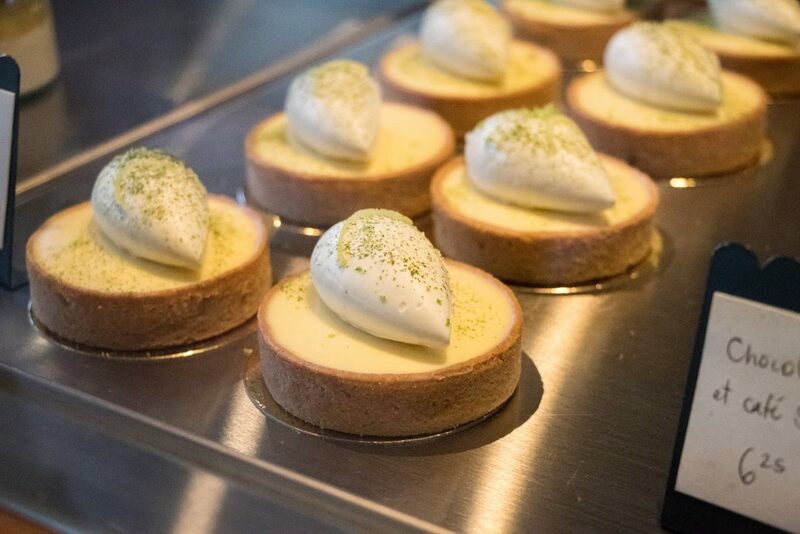 Among their popular offerings is a tarte aux agrumes, an almond crumble with lemon, lime and yuzu, a Japanese lemon. Also, a popular menu item is the Chou à la Crème, which is a puff pastry with caramelized bananas, chocolate and caramel foam.